The cool morning shrouded in darkness and fog, slowly gave way to a sunrise that turned the fog into a golden mist of pleasure. Floating through the pink and gold shadows reflecting across the water, the quiet beauty is transformed by a simple drop of water sliding off a kayak paddle, gently hitting the water and causing a ripple of thoughts about a lifetime chasing waves and the simple enjoyment of the ripple that started the waves. Staring into the deep blue waters into a portal to the past, there are visions of waves crashing into children as they scream with delight in the waters of Lake Michigan awaiting the chance to jump into the next crest of water; the waves of excitement of young adulthood with a future filled with new journeys, careers and relationships; the wave of disappointment in adulthood as the journey takes a new path when careers, finances and relationships hit rocky patches; and the wave of knowledge in middle age that the explosive sound and beauty of great waves is equally matched by the tranquil silence of a gentle ripple. 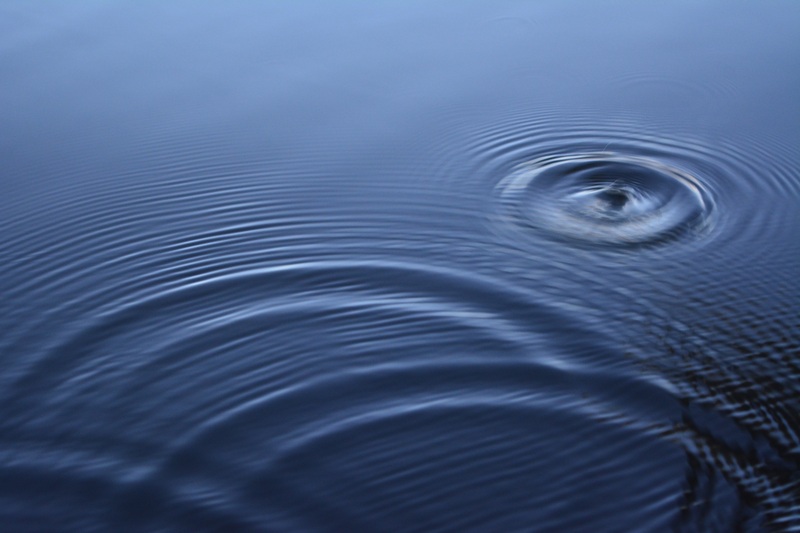 Remembering that it is the simple ripple that has the power to create the wave and the wonderful saying “if you can’t make waves, make ripples,” takes on a new significance in middle age when you realize you want the ripples and the waves. The simple ripple in your morning cup of coffee as you add a scoop of whipped cream. The great wave of pleasure as you splurge on a Starbuck’s pumpkin spice latte. The simple ripple of enjoyment when you hear your favorite song playing on the radio and the waves of bass bursting through your chest as you celebrate an anniversary with concert tickets to your favorite rock band that equal the cost of a weekend trip to Lake Michigan. The simple enjoyment of a fall morning spent at a cider mill or the wave of wonder as you explore wineries and artisan hard cider makers on a fall trip to Northern Michigan. The simple enjoyment of a ripple of laughter that begins when you and your best friend share a knowing look and burst out with laughter without a word spoken. The wave of laughter that spreads through a family gathering as memories of loved ones are shared. The gentle ripple of understanding, strength and familiarity in long-lasting relationships and the wave of excitement when sharing with a new friend. If life has the wonderful capacity to bring us ripples and waves, then it is up to us to find the simple enjoyment in the beautiful ripples that have the potential to be great waves of pleasure.